The Hollywood award season is here! As celebrities prepare to strike a pose on the red carpet, it is paramount that they look their best. From finding the right outfit to participating in weight loss programs, celebrities will do whatever they can to get red-carpet ready. Dr. Babak Azizzadeh of the CENTER for Advanced Facial Plastic Surgery is a Harvard-trained facial plastic and reconstructive surgeon who helps celebrities prepare for award season. With his comprehensive and personalized approach to facial plastic and reconstructive surgery, Dr. Azizzadeh ensures celebrities can look their best during award season and beyond. To learn more, let’s take a look at 10 ways that celebrities get ready for award season, and how Dr. Azizzadeh helps celebrities capture an award-winning look. Even celebrities are susceptible to the natural aging process. Over the years, the skin may start to show signs of aging. Facial wrinkles, sun damage and other facial flaws may cause celebrities to look older than they truly are. Laser Skin Resurfacing: One of the most popular non-surgical forms of facial rejuvenation is laser skin resurfacing. It’s a great option for those who are looking for a safe, effective way to revitalize the skin. At the CENTER, Dr. Azizzadeh primarily uses the DOT Deka laser to resurface the skin on the face and neck to enhance the skin’s tone, texture and pigmentation. ZO Skin Health: A great skincare routine is the foundation of a youthful appearance. ZO Skin Health by Dr. Obagi skincare products incorporate a variety of therapeutic treatment protocols. They are designed for all individuals, regardless of skin condition, age, gender or ethnicity. Also, ZO Skin Health products feature the latest advances in skin therapy technology – biotechnology complexes, plant stem cell components and multi-therapy delivery systems – to make the skin glow! As celebrities age, the collagen beneath their skin breaks down. This causes fine lines, creases and wrinkles in the face. Fortunately, facial fillers have been shown to help individuals restore facial volume and revitalize the facial appearance. Dr. Azizzadeh may recommend one or more facial fillers to provide the most comprehensive results. In addition to fillers, Botox is one of the most performed non-surgical facial rejuvenation treatments. Botox injections temporarily freeze the muscles that are creating dynamic wrinkles across the forehead, in between the eyebrows (11’s lines), on the corner of the eyes (crow’s feet), and more. When treating his celebrity patients, Dr. Azizzadeh takes a very conservative approach so the celebrity is still able to create natural facial expression and not look frozen. His goal is always to just soften their appearance. Cheek bone definition can make a world of difference in a celebrity’s appearance. In some instances, buccal fat pads in the cheeks may cause a person’s cheeks to appear chubby or puffy. To address this concern, buccal fat pad reduction may be a viable treatment. Buccal fat pad reduction has been shown to help enhance cheek definition and may be performed on individuals who display significant fullness in the cheeks. It helps a person further define the cheek bones and involves the removal of buccal fat pads from inside the cheeks to reduce the appearance of chubby or puffy cheeks. It is generally performed in conjunction with other facial rejuvenation surgery procedures to reshape the face to a more youthful appearance. Alternatively, filler, such as Voluma, can be used to create more sculpted cheeks. Celebrities frequently receive facelift treatments in the hopes of achieving a more youthful facial appearance. The shape of youth is a heart-shaped face. 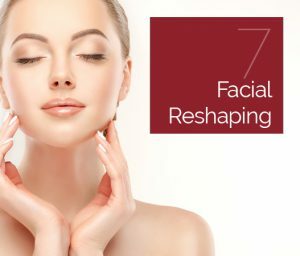 Dr. Azizzadeh has coined this approach “Facial Reshaping” as he creates youthful facial contours, leading to a naturally-refreshed facial appearance. 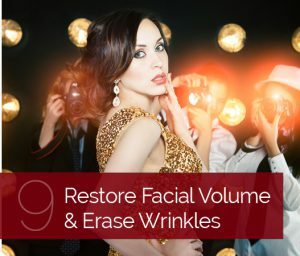 Yet it is important to note that there is not a one-size-fits-all facelift treatment that delivers proven results for all individuals, at all times. Instead, an individual should choose a facial plastic and reconstructive surgeon who takes a personalized approach to facelift surgery to ensure optimal treatment results. Dr. Azizzadeh promotes an individualized and innovative approach to facelift surgery. He understands that the aging process affects every individual differently and tailors each facelift to a specific patient. 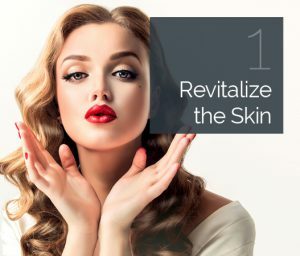 Moreover, Dr. Azizzadeh uses a combination of techniques in conjunction with what is thought of as a “traditional facelift” procedure. With this approach, Dr. Azizzadeh helps patients achieve balanced and natural-looking results. A crooked nose, dorsal hump and bulbous nasal tip always draw attention away from the eyes, which should be the focus of the face. By receiving a rhinoplasty, a celebrity can address these issues so their nose is in perfect balance with their other facial features. 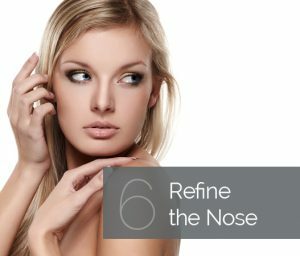 The goal of a rhinoplasty is to help an individual reshape the nose to improve the overall facial aesthetic. A nose job also may be performed to correct structural defects in the nose (such as breathing issues or problems related to a deviated septum) to restore the nasal function. Dr. Azizzadeh possesses a deep understanding of the complex underlying structures in both the head and nose. He is board-certified in both facial plastic and reconstructive surgery and otolaryngology (head and neck surgery). As a result, Dr. Azizzadeh creates the most beautiful and natural looking outcomes for his patients so no one will ever know surgery was done. One of the most popular plastic surgery procedures among teenage and young-adult celebrities is rhinoplasty. A prominent nose usually negatively impacts a teen’s self-esteem and confidence. Dr. Azizzadeh boasts in-depth teenage rhinoplasty expertise. During a teen rhinoplasty consultation, Dr. Azizzadeh will examine a teen’s facial features and find out why this individual is considering nose surgery. Also, he will determine if a teen is anatomically ready for a nose job; teen rhinoplasty generally can be performed on girls as early as 16 or 17 years old, whereas nose surgery usually can be performed on boys at 17 or 18 years old. The lips can transform an ordinary individual into an instant celebrity. For example, TV personality Kylie Jenner is perhaps best-known for her signature pout. Yet Jenner admitted on an episode of Keeping Up with the Kardashians that her rich, full lips are the result of lip fillers. 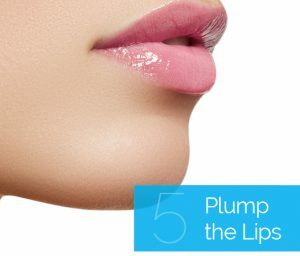 Lip fillers are injectable dermal fillers designed to increase the fullness of the lips. They enhance the shape, structure and volume of the lips. Furthermore, all the lip fillers Dr. Azizzadeh uses contain hyaluronic acid, a natural substance that is found in the body. Let’s face it – no celebrities want to look tired when they arrive on the red carpet. 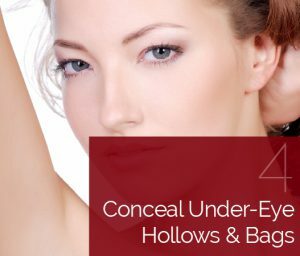 But under-eye hollows and bags may make a celebrity appear exhausted, regardless of how this individual currently feels. Restylane under the eyes is an amazing treatment to instantly remove under-eye hollows and bags. For many celebrities, Dr. Azizzadeh will also combine the Restylane treatment with Botox for the crow’s feet to truly rejuvenate the appearance of the eyes! Walking along the red carpet among thousands of fans, Paparazzi and Hollywood elite can be exhausting. And if celebrities are not careful, underarm sweat may protrude through their outfits. Hyperhidrosis, aka excessive sweating, is a major problem for many people. It occurs when a person gets too hot or too nervous and causes an individual to sweat even when the body is not overheating. There is no need to let excess sweat get in the way of a fun, exciting walk down the red carpet. Instead, celebrities can receive Botox treatments in the underarms to manage hyperhidrosis like never before. Botox under the arms is one of Hollywood’s best kept secrets and they all come to Dr. Azizzadeh for this amazing treatment! 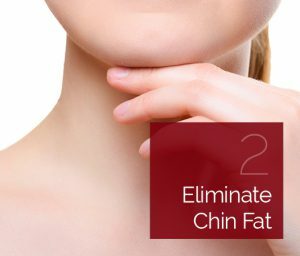 A double chin, also referred to as submental fullness, can detract from a balanced facial appearance. It may make a Hollywood star appear older or heavier. And for celebrities who want to look their best both on and off the red carpet, keeping a double chin simply is not an option. Dr. Azizzadeh helps individuals address submental fullness by providing Kybella, an FDA-approved treatment that dissolves fat under the chin. Kybella consists of deoxycholic acid, a substance that the body naturally produces to absorb fat. It can be injected into fat deposits and causes them to burst, thereby eliminating fat cells. Kybella is a safe alternative to submental liposuction to help eliminate the appearance of a double chin. The number-one way to get ready for award season – microneedling with platelet-rich plasma (PRP). This treatment involves the use of tiny needles to help reduce the appearance of fine lines and wrinkles in the face. During a microneedling treatments, Dr. Azizzadeh uses the Rejuvapen Micro Fractional Collagen Stimulation system, which creates micro-perforations in the top layers of the skin. This helps the skin cells turnover, become firmer and regain elasticity that it may have lost over time. Microneedling also creates microscopic channels that allow PRP to penetrate into deep layers of the skin, leading to superior treatment results. 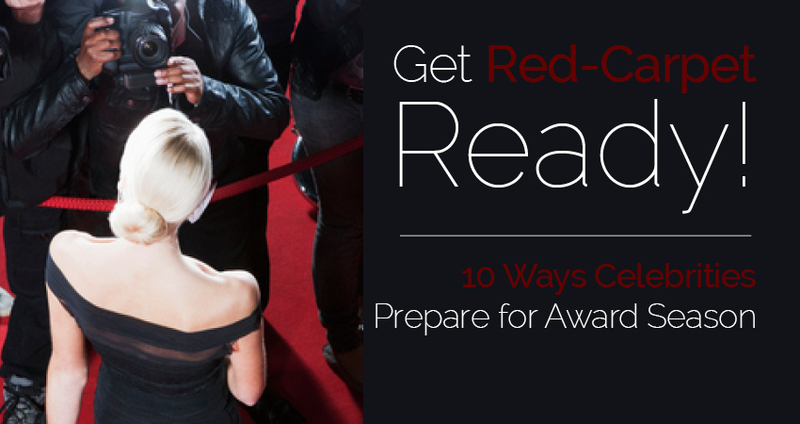 There is no shortage of treatments available to help celebrities get red-carpet ready. With support from Dr. Azizzadeh, anyone can improve their facial appearance. Dr. Azizzadeh is a world-renowned facial plastic and reconstructive surgeon who has helped celebrities and many others enhance their facial appearance. To find out more, please contact the CENTER today at 310-657-2203 to schedule a consultation.